St. Dominic Savio welcomes international students to be a part of our community. In recent years, we have welcomed students from Brazil, China, Germany, Korea, Mexico, Spain, Vietnam, Italy and others. 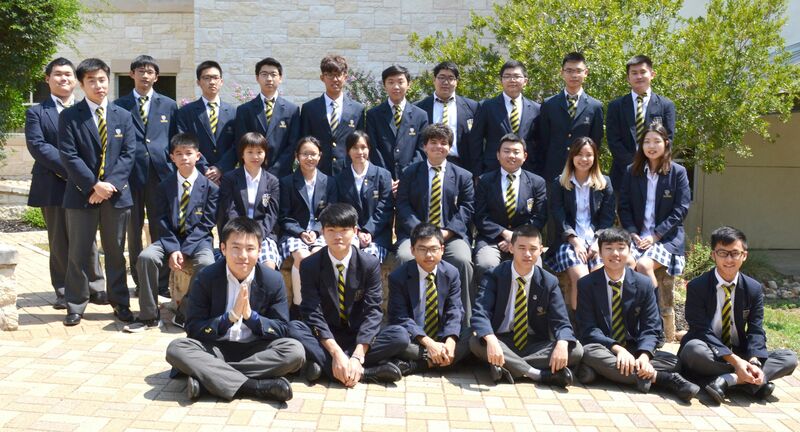 St. Dominic Savio admits qualified international students. We are looking for international students with strong English proficiency skills, are academically motivated, a desire to be involved in school activities and a willingness to embrace the cultural experience. Savio students are very welcoming and they will understand that English isn't your first language... Once you start making friends by finding common ground, you will overcome the boundaries that were once overwhelming. I promise you that amazing experiences will await you. This year, Savio has the highest number of International Students since the school opened in 2009. Applications for admission are conducted online for the upcoming school year. Online applications are typically available beginning in October of each year. Applications for 2019-2020 school year are due February 1, 2019. An application fee of $225 is due upon submission of the completed online application. The fee is paid online via credit card. A list of required documents for the application process are needed by February 1, 2019. Applying 9th graders only that are not currently in the US, are required to take the ISEE or SSAT placement tests. Applying 9th graders in the Austin area will take the PSAT 8/9 at St. Dominic Savio. Once the online application and supporting documents have been received, the Admissions Office will contact the applicant to schedule a Skype interview. Once the interview is completed you will be notified by the Admissions Office of our admission decision. If accepted as a student, you will receive an invitation to enroll. To confirm your child’s attendance and reserve their space, online enrollment and total fee must be completed by due date. An I-20 will be issued once the applicant has been accepted as a student at St. Dominic Savio. The online enrollment must be submitted with the paid enrollment fee. St. Dominic Savio is not a boarding school, nor do we assist international students to find a host family. Therefore, it is the responsibility of the student and their family to find appropriate housing and transportation while attending St. Dominic Savio Catholic High School. The tuition for an International Student is $16,800 for the 2018 - 2019 school year. Additional costs not included in tuition. Students are responsible for the following items: textbooks, uniforms, laptop computer, and lunch.